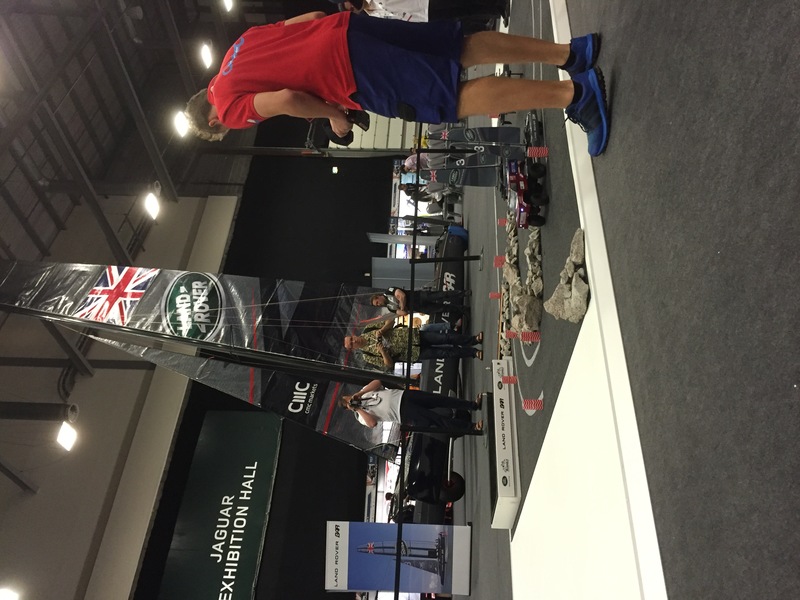 Today I had the privilege of being invited to the World Finals of the Land Rover 4×4 In Schools challenge. 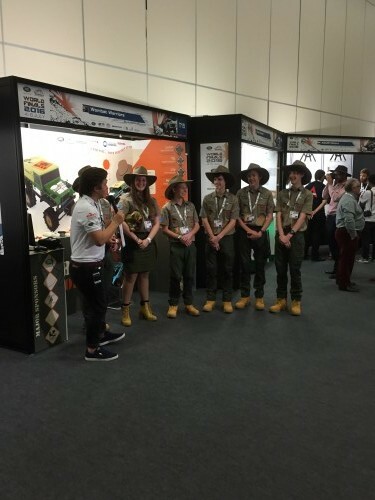 The competition is the sister event to F1 In Schools and is designed to promote STEM subjects in schools alongside business enterprise skills, creativity and team work. 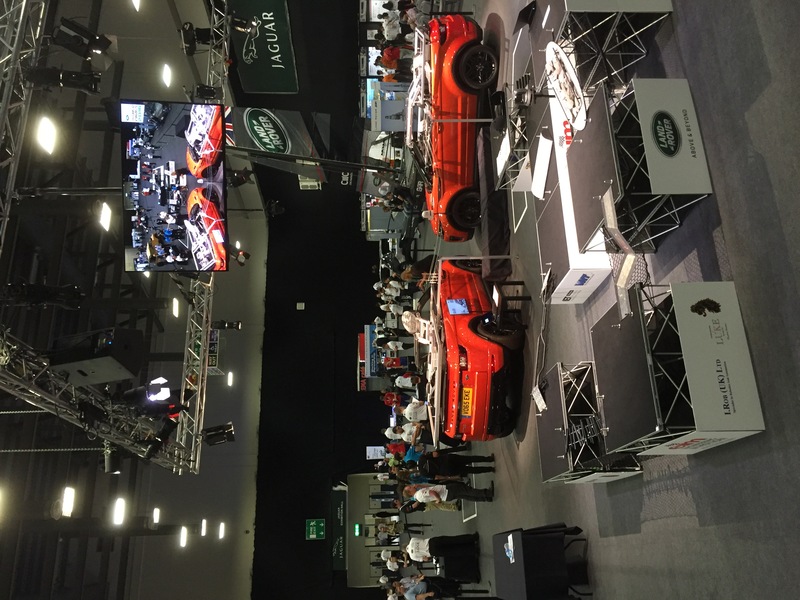 The event that is run and organised superbly by Fantastic clients Engineering in Motion, is now in its 3rd Year and has attracted teams from 14 countries from England & Scotland through to Portugal, Slovakia & Australia. 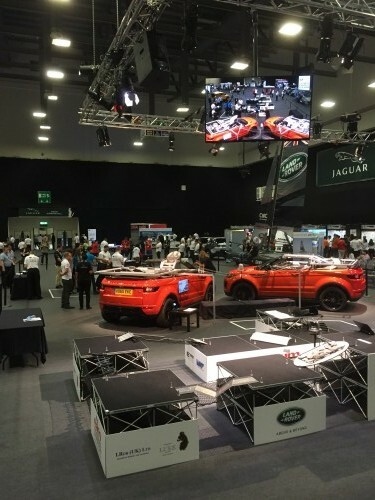 One of the first thing that hits you when you walk into the main hall of the highly impressive Ricoh Arena is the scale of the event. 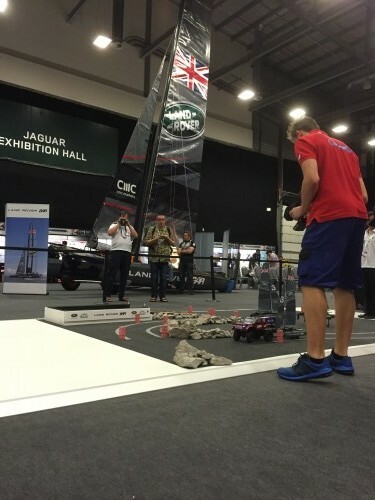 In the centre part of the arena is the driving challenge, while the teams displays are down the side, with vintage Land Rovers and huge catamarans included for good measure. 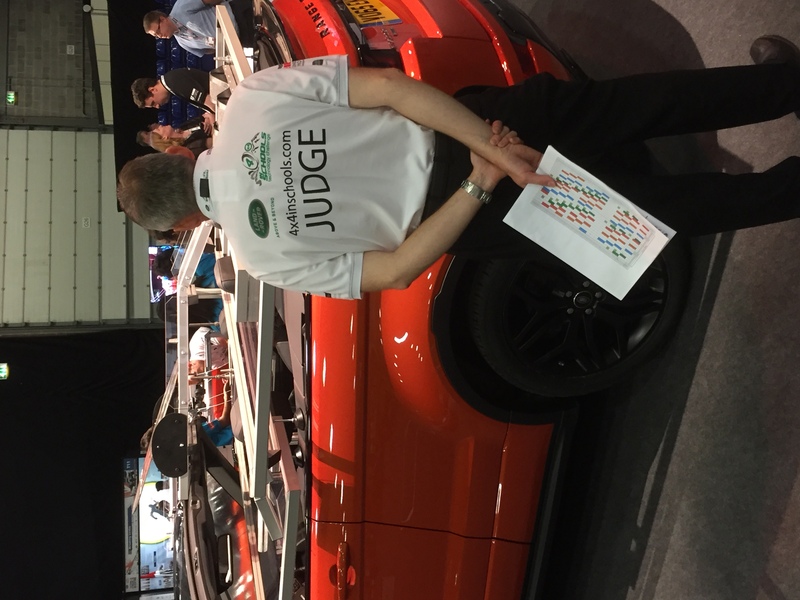 As title sponsors you would expect plenty of visibility from Jaguar LandRover, but I’m not sure I was expecting a driving track intertwined between 2 brand new Range Rover Evoque convertibles. 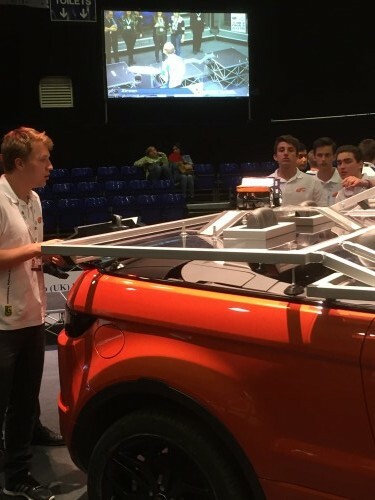 As a world finals the event attracts teams from Portugal, Czech Republic, Singapore, Slovakia, Malaysia, Greece, Brazil, Scotland, England, South Africa & The USA. 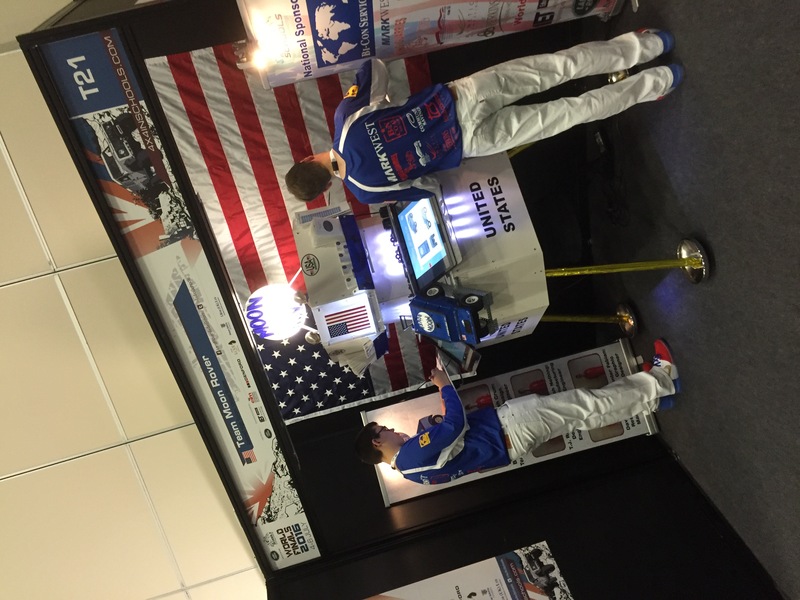 However, for my money, I was most impressed by the Wombat Warriors from Australia who truly embraced national stereotypes with their team outfits. 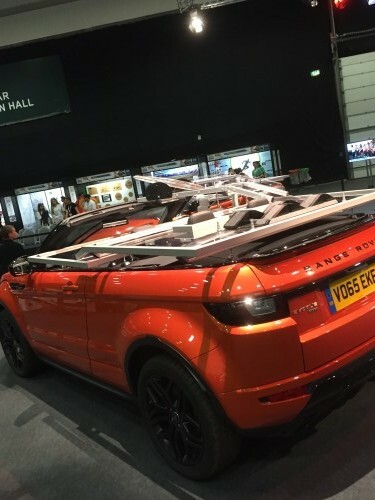 As well as plenty of Land Rovers and 4×4’s as you would expect, one of the centre pieces was a training boat brought along by Ben Ainslie Racing who are looking to win the America’s Cup next year. 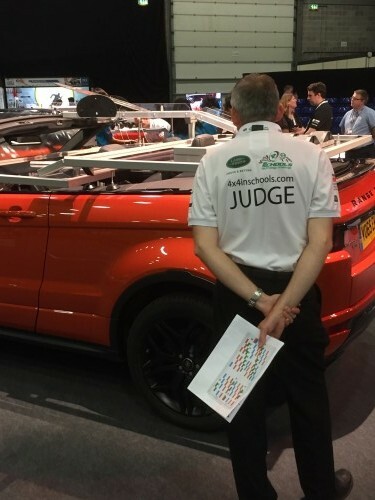 The team are supported by Land Rover from a commercial and technical perspective and had a really cool towing challenge as part of the event. 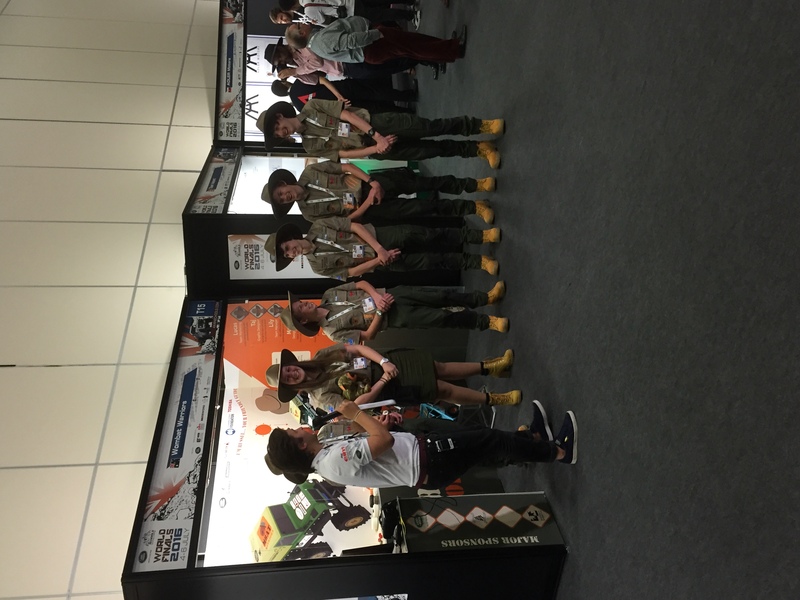 As with the F1 in Schools challenge, the event isn’t just about embracing STEM. 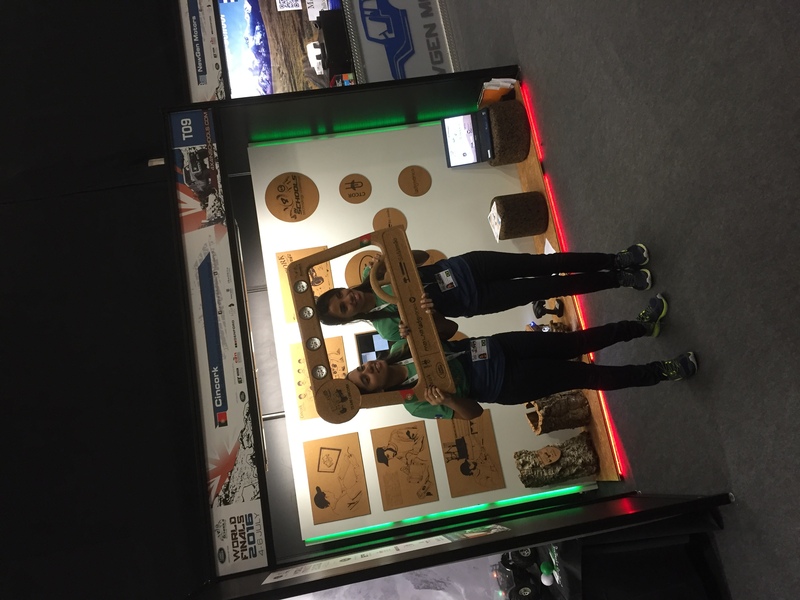 The students have to market their teams, and many used Social Media to do just that, including Cincork from Portugal who made a cork Selfie frame. 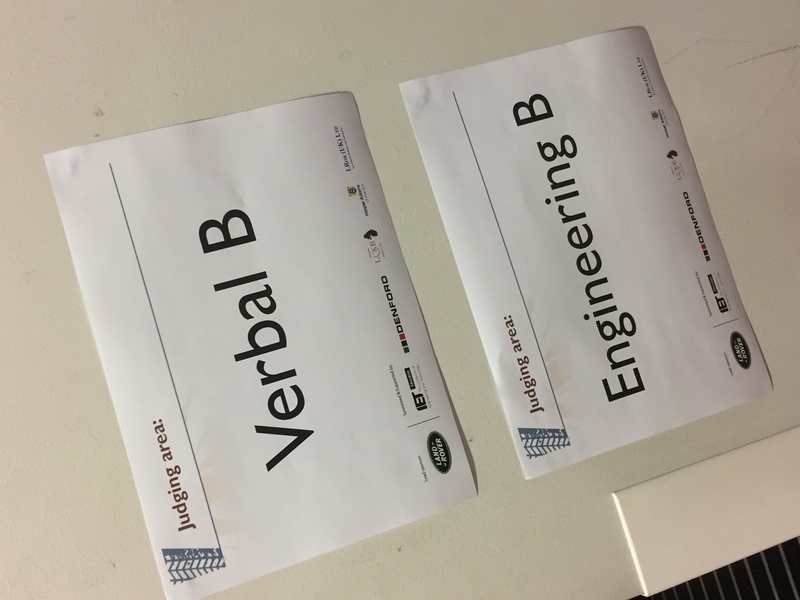 The teams are judged on a number of areas, but the one that seems to draw more trepidation from the younger students than others is the verbal presentations. However, gaining experience of presenting and communicating is a key skill to develop for later life, and is another example of how well-rounded the challenge is. 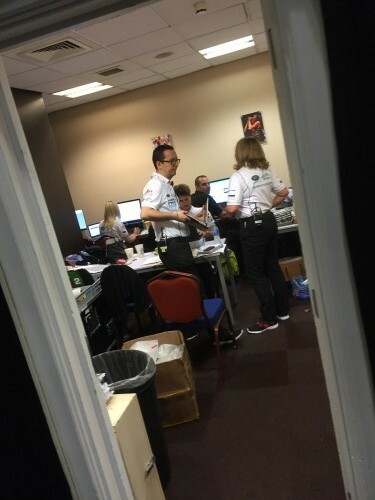 While the students are focusing on their technical challenges, the event office is a whirlwind of laptops, walkie-talkies and spreadsheets, all combining to deliver a superbly organised event. 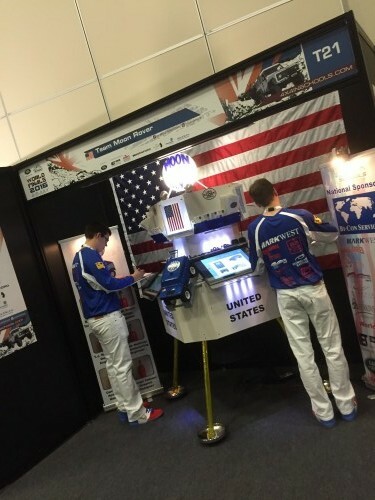 It might be the Tim Peake bubble hasn’t burst yet, but one of my favourite pit displays was from the team from the US who went with a Moon Rover theme, complete with NASA style matching outfits. One of the great things to see was how much the teams pulled together through the challenges. Although there was only one driver at a time, the teams were constantly encouraging each other throughout. 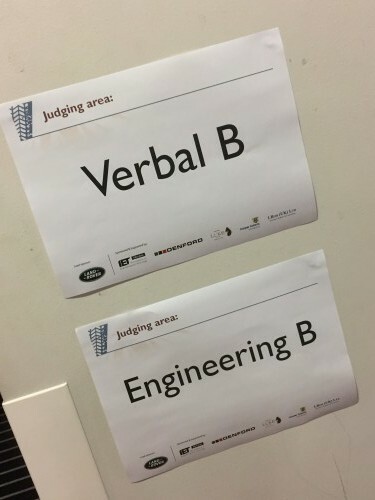 As you would expect for a World Final, the standards expected from the teams were very high, and there were plenty of judges on hand to check for any violations. 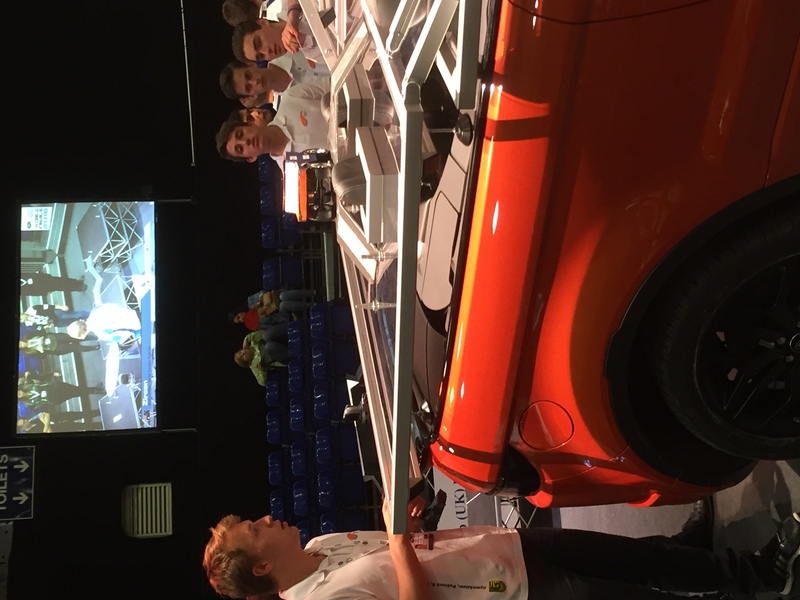 I’ve included a bonus highlight – a bit of inspired problem solving when part of the front steering system broke. 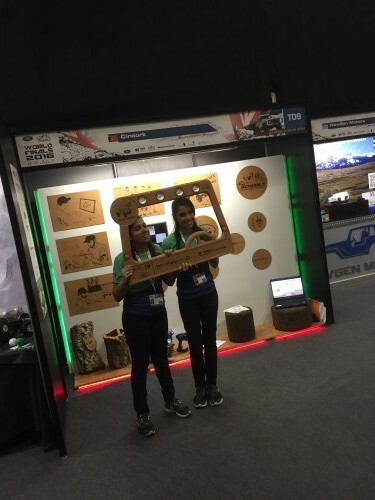 The Wombat Warriors quickly reversed the car and finished the course backwards!! 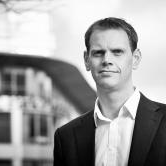 Ops director at Fantastic Media, varied background in physics, sports publishing, agency life and software. Get free tips and resources delivered directly to your inbox. Byworth Modernise the Boiler Industry with Fantastic Media The market leaders in the manufacture and supply industrial boilers, recently approached Fantastic Media to help update and modernise their brand. Fantastic Scenes At Wembley Team Fantatsic head to the Play-Off Final. When Social Media Campaigns go Rogue A customisable campaign that puts your followers directly into the campaign seems like a good idea, right? 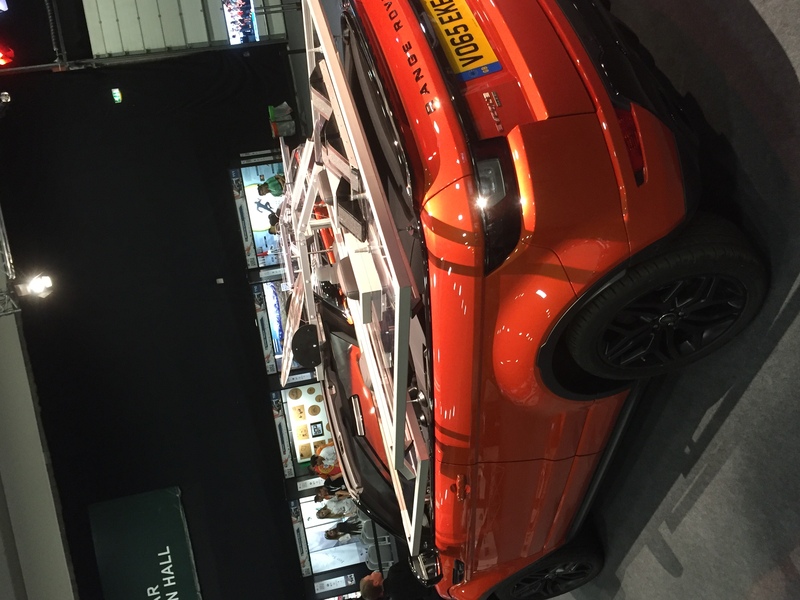 Registered in England, WF17 9LW.